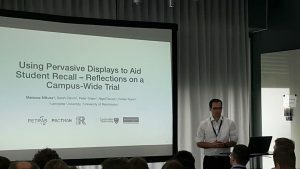 Members of the PACTMAN consortium represented the latest PACTMAN-related research at the 7th ACM Symposium on Pervasive Displays (PerDis 2018) in Munich, Germany. 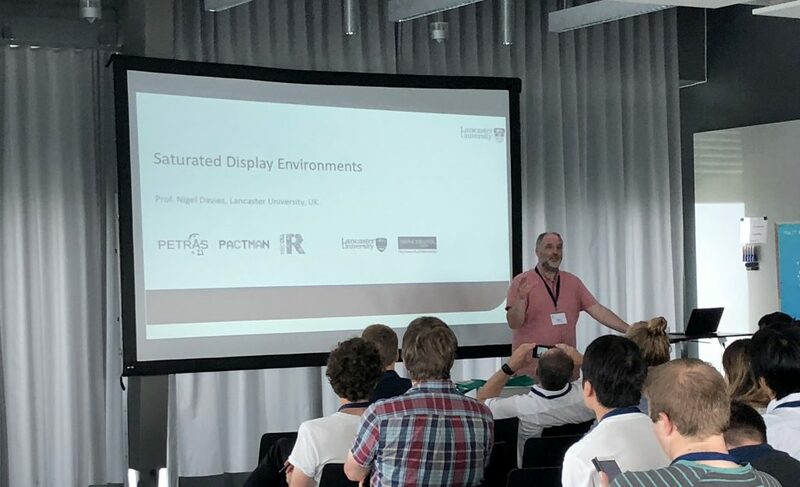 Nigel Davies was invited to give a keynote on “Saturated Display Environments”, introducing future research opportunities in the area of pervasive displays led by the trend and vision in which displays become truly ubiquitous and saturate the physical environment. Mateusz Mikusz presenting work on helping students recall lecture content. Mateusz Mikusz presented “Using Pervasive Displays to Aid Student Recall — Reflections on a Campus-Wide Trial“. This work formed the foundation and initial implementation for the PACTMAN-led display personalisation trial and specifically investigated the use of pervasive displays as part of an integrated learning environment to help students recall lecture content as they move across campus and walk by displays on their way to lectures, labs or colleges. 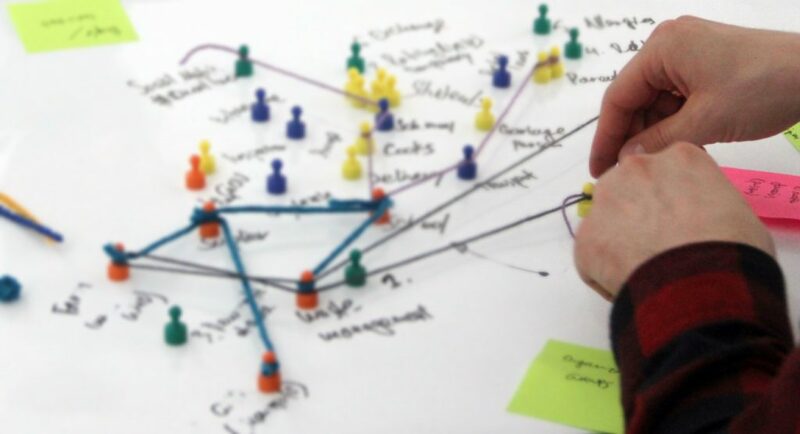 The research on improving student recall was conducted as part of the PETRAS IoT Research Hub, the EU-funded FET7 project RECALL and PACTMAN. Peter Shaw demonstrating display personalisation technology. In the context of the display personalisation trial, Peter Shaw demonstrated the underlaying technology including the Tacita mobile application and corresponding display technology to participants of PerDis 2018. 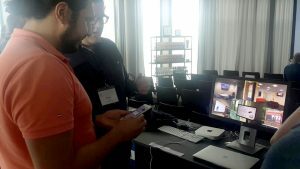 The demonstration sparked discussions for potential future collaborations with researchers from the pervasive displays community. Jake Patterson presented SlideTalk, a piece of work conducted with Sarah Clinch on investigating new forms of smartphone-based interaction modalities specifically designed to improve user engagement and experience with public displays.